Visit for a day, check in for a weekend of relaxation and rejuvenation, or plan a longer stay at one of these beautiful spiritual retreats. Whether you are looking for a peaceful getaway where you can practice yoga, a meditation retreat to re-connect with nature, or want to take classes to learn about an ancient healing technique from top practitioners in the field, there are many incredible getaways to choose from in the United States for nearly every taste and budget. The Esalen Institute in Big Sur, California offers visitors 120 acres surrounded by ocean and mountains with hot mineral springs and a gorgeous location for relaxation, meditation, and other activities. The Lodge is open 23 hours a day and includes a dining room, outdoor deck, sun room, and kitchen. There are typically several workshops a week to select from, including communication retreats, Tai Chi, mindfulness, yoga retreats, meditation, spiritual workshops, and more. If you are looking for a unique yoga retreat in California, this is a beautiful place to visit. Three meals are served daily, made with fresh produce as well as fresh fruit and other snacks on hand all day long. When you register for a workshop, you can select among several accommodations, including standard rooms with shared bathrooms, premium rooms with upgraded bathrooms and privacy and internet or ocean views, Point Houses for private suites with living rooms, bedrooms, full kitchens, private decks, and dining areas, Bunk Bed Rooms, and various sleeping bag accommodations in meeting rooms. All-inclusive weekend workshop rates start at $730 per person for Standard accommodations; from $405 for Sleeping Bag accommodations. The rate includes meals, movement program and access to the facilities. 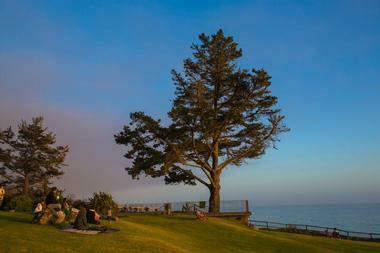 The Esalen Institute is one of the most popular spiritual retreats in California and on the West Coast. There is a store on campus as well as access to the Ram Dass Library, and the Omega Wellness Center for life coaching, massage, shamanic healing, acupuncture, and more for over 45 services in total. 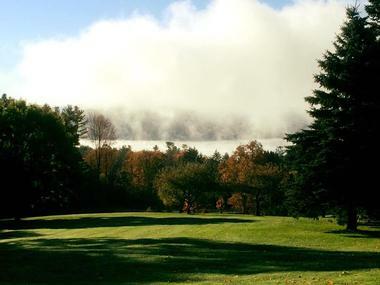 Guests can swim or boat at Long Pond Lake, play tennis or basketball, walk along the trails of the 250-acre campus, relax in the Sauna or Sanctuary, and enjoy a sample workshop, film, or concert at night. Meals are eaten as a community in the Dining Hall with communal tables and hearty, organic, mostly vegetarian dishes. You can select among various accommodations including camping sites that include shared baths, deluxe private cabins, or shared cabins. The rooms are designed for relaxation and disconnecting, hence there are no televisions or phones, but you can find pay phones and Wi-Fi throughout the campus. Double Cabin Rooms start at $416 per person for two nights, including three meals daily. 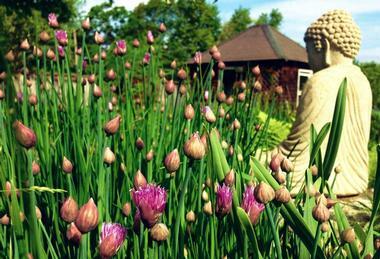 The Omega Institute offers some of the best meditation retreats in New York state. Camping is $216 per person for two nights, with meals. 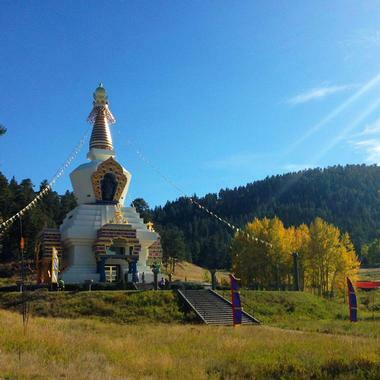 The Shambhala Mountain Center covers 600 acres of mountain valleys and natural beauty in the Colorado Rockies, perfect for those in search of a spiritual retreat. The Shambhala Mountain Center is designed to work with weekend or week-long getaways, either self-created or as a part of a scheduled program. There are over 100 programs throughout the year, including wisdom, Shambhala teachings, contemplative arts, body awareness, and mindful living. The land is also home to 8 miles of trails for hiking, meditation, Great Stupa tours, Kami shrine tours, and other classes. Three daily meals are included with all rooms and group rentals made with natural, healthy ingredients with accommodations for special dietary needs. Choose from five different types of rooms in the lodge, two options with tents, a seasonal dorm, and a Red Feather double to select from. All rooms have relaxing sitting areas and basic amenities, although tent lodging does not include the bedding. Lodge Dorm rates start at $109 per person per night, including meals. Kripalu offers yoga retreats for individuals as well as training classes to learn more about yoga, healthy living, and other areas of professional development. The campus spans 150 acres in a holistic environment with a lakefront beach, labyrinth, trails, and hilltop views. You can choose to attend residential professional training for yoga or Ayurveda. There are also dozens of programs to choose from, such as hiking and yoga, mindful eating, integrative weight loss, detoxing for healing and health, creating a resilient life, and more. 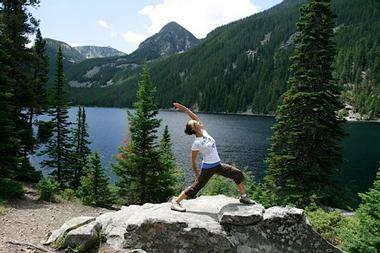 Some programs are designed for professionals, while others such as yoga and hiking are ideal for anyone. There are several programs for visitors with cancer or Parkinson's. Other facilities on site include the bookstore, cafe, sauna, whirlpool, fitness center, meditation rooms, classrooms, and healing arts center. Guests can go for walks through the trails, explore the beachfront lake, or enjoy tea and great conversation with other like-minded people. Dormitory accommodations start at $198. The Feathered Pipe Ranch is run by the Feathered Pipe Foundation and offers the ability to go on a personal retreat to relax and connect with nature and discover yourself. There are a range of scheduled retreats as well as personal retreats to choose from, each of which includes lodging that is either private or shared. Choose from tepees, yurts, and tents as well as luxurious rooms in the chalet style. All accommodations give you access to the hot tub, sauna, bathhouse, and grounds. Visitors can also schedule massage or bodywork, go horseback riding, or shop at the Shanti Boutique for meditation, chakra, yoga, and mantra-related items. Other activities include hiking along the numerous trails, exploring lakes, enjoying water activities like swimming and canoeing, and going on an afternoon excursion to a nearby destination such as local markets and cathedrals. Organized retreats cover all themes, such as yoga, nutrition, Ayurveda, and more. Meals are included in the cost of any stay. 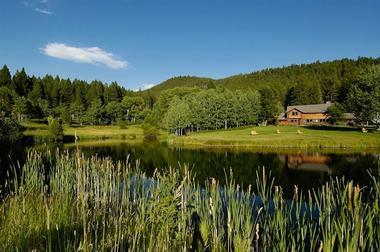 If you are looking for unique spiritual retreats in Montana, this is a beautiful place to visit. The cost depends on the length and type of retreat. The School of Sacred Arts is a top Yoga Alliance-certified yoga and wellness studio and school in Sebastopol, blending classic elements of yoga with other similar teachings and practices from indigenous and modern culture around the world, including shamanic traditions from Buddhist and South American cultures. Yoga courses blend vinyasa, yin, and tantric yoga practices emphasizing total mind, body, and spirit wellness. Mindfulness mentoring courses are offered for budding yoga instructors, along with ethical business consultations for entrepreneurs and business teams. The company also offers retreats to top locations around the world, including wellbeing excursions to Canada, Thailand, and Bali and sacred ayahuasca and huachuma ceremonies at retreat centers in Peru. As the largest retreat center in Hawaii, Kalani is popular among those who wish to explore yoga in a natural and adventurous environment on 120 acres of accommodations, organic agriculture, and preserved heritage. Kalani is designed to help guests get away from everything, offering simple lodging without phones or television, instead offering original art and access to all facilities. 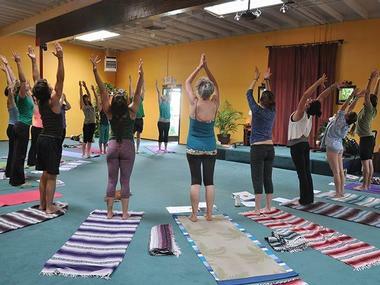 There are daily classes for all interests, including 12 yoga styles, Lauhala weaving, hula, tai chi, dancing, meditation, and bodywork as well as life skills classes. Facilities at Kalani include a small gym, a Jacuzzi, a sauna, and a pool, all surrounded by a tropical jungle that ensures the campus is the ideal temperature at all times. There are also various massage rooms and multiple activity spaces, including a ceremonial lodge. You can also visit the gift shop, relax in the lounge, or play volleyball. Hale Aloha provides sandwiches, salads, snacks, ice cream, drinks, Wi-Fi, and a gift shop, or you can eat a full casual meal on the Lanai (veranda). The buffet-style meals include tropical produce, fresh caught fish, and vegetarian options. Lodge rooms with shared bath start at $95. The price includes use of Kalani's facilities (pool, hot tub and sauna) but does not include meals. With 100 acres of land, Rolling Meadows Yoga & Meditation Retreats provide the ideal location for yoga or spiritual renewal and meditation. They also hold off-site retreats in Sweden, Italy and Costa Rica, but the Maine campus is also popular with its rural, hilly views of the countryside. There are comfortable rooms for ten within the farmhouse, which also hosts the living rooms, porch, sun room, and library. Throughout the grounds, there are extensive organic vegetable and flower gardens, walking paths, a spring-fed swimming pond, and sheep grazing. 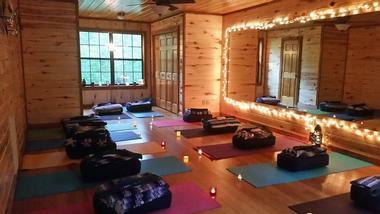 The meditation room is well-lit and has yoga supplies and meditation cushions. Depending on the season, visitors can enjoy a wood-fired sauna, go swimming, walk through the fields and woods, or go cross-country skiing. The retreat provides vegetarian meals and has the ability to accommodate special diets. Silent retreats provide a time to allow for deep introspection with minimal distractions and limited conversation. 12-day yoga retreats in India start at $1,995. Insight Meditation Society holds the honor of being one of the first meditation retreat centers in the Western world and continues to give visitors guidance on Buddhist meditation through retreats. There are 240 acres of secluded woods surrounding the Forest Refuge and Retreat Center, with the first offering programs for experienced meditators while the second has courses of all levels and durations. There are three dorms at the Retreat Center with single rooms containing a closet, chair, and sink and shared bathrooms, while the Forest Refuge offers similar accommodations. At the Retreat Center, there are meditation instructors offering daily guidance and instruction to help with compassion and awareness, as well as individual and group interviews with teachers. 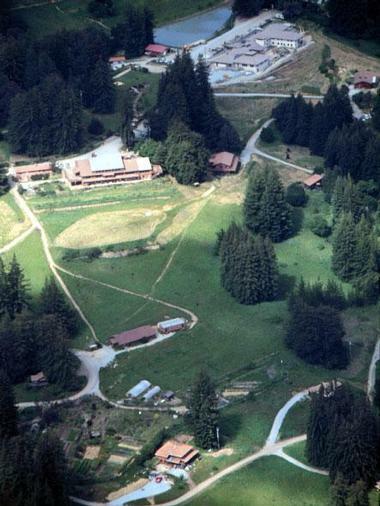 Retreats there can last between a weekend and three months, while those at the Forest Refuge must be at least a week. There are also work and meditation retreats available. Three vegetarian meals are included each day during every retreat with the ability to accommodate food allergies. If you are looking for meditation retreats on the East Coast, Friday-to-Sunday retreats start at $205, week-long retreats from $475. Retreat in the Pines is a peaceful, women's retreat in Mineola, opened in October of 2004 as a relaxing gathering space for women of all ages to get away in a beautiful forested setting. The company offers a variety of all-inclusive retreats for individuals and small groups, with financial assistance available for participants on a budget. Yoga and meditation retreats emphasize principles of exercise and wellness, open to students of all ability levels. Participants can bond over complimentary wine and non-alcoholic beverages served with dinner each night and continue the conversation in shared bedrooms within the retreat's facility. All meals are prepared from scratch, with coffee, tea, juice, and coconut and whole milk served daily. The White Lotus Foundation mountain retreat center is set on 40 acres offering spectacular views of Santa Barbara and the Pacific Ocean. You can select from a campsite surrounded by natural beauty, a yurt, or indoor accommodations with more modern amenities. There are at least six different retreats throughout the year, which provide several days of activities, yoga, breathing exercises, and more to relax. Some yoga retreats are combined with other workshops and classes, such as Thai massage and most also include meditation. Gourmet vegetarian meals are included in all of the programs and attendees can explore the grounds as well. There, they will find swimming holes, secluded places perfect for isolated reflection, spring water, and hiking trails to explore. There is also the opportunity to take advantage of massages and soaking tubs. A typical day during a retreat would include a morning hike or meditation, breakfast, some yoga, lunch, free time for exploring or resting, more yoga, dinner, and the evening program. 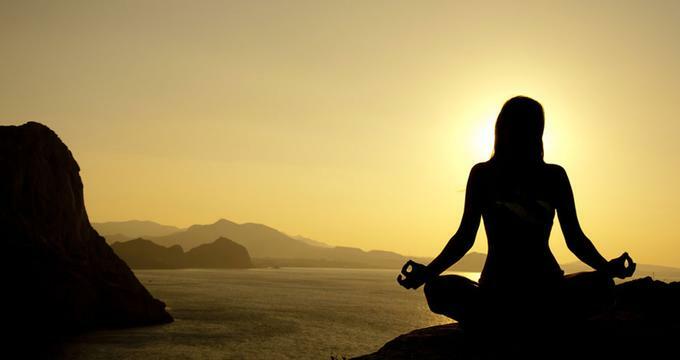 If you are looking for unique spiritual retreats in Santa Barbara, weekend yoga retreats start at $650. Surrounded by gorgeous forests, snow-capped mountains, and cool waterfalls, Big Sky Yoga offers numerous retreats throughout the year that focus on yoga with other activities included. 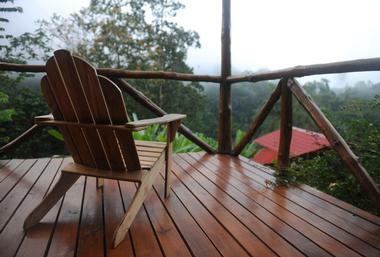 Accommodations are included in the price of all retreats. The B-LUXE Cowgirl Yoga retreat, for example, includes lodging in an A-frame cabin that has a living room, bath, bedroom, loft bedroom, and private porch. In the winter, retreats can include Nordic skiing in addition to yoga, while summer and fall retreats will typically include hiking, horseback riding, and other similar activities. The retreats can accommodate all levels of yoga enthusiasts and typically include two yoga sessions each day as well as other outdoor activities. Yoga activities occur outdoors with the natural landscape in the background and all meals are included in the retreat price. The B Bar ranch, where many of the retreats are held, covers 9,000 acres of land for relaxation and the chance to connect with nature. Prices vary depending on the type of retreat (Phone: 406-219-7685). Green Gulch Farm Zen Center is also known by the name of Green Dragon Temple and gives visitors the chance to experience a Japanese Soto Zen Buddhist practice center for training in meditation and the ability to awaken themselves from within. There is a Sunday program that is open to the public and includes lectures, tea, meditation, and more. You can stay at Green Gulch Farm as part of an apprenticeship program, residential practice, or guest practice retreat. Guest rooms are created in Japanese style in one of three buildings or in Hope Cottage for a personal, secluded retreat with gorgeous views. During a guest practice retreat, you can partake in the Green Gulch community with classes, ceremonies, and lectures, and have time to yourself for introspection. There are Zen practice periods, classes, extended courses, and daily zazen practice. Other activities include tea classes and gatherings, watershed work parties, environmental education, and walking through the Redwood Creek Watershed as well as the Muir Woods. All accommodations include three vegetarian meals as well as tea, coffee, and snacks during the day. Single occupancy rates start at $90 in a Single room, and from $160 in a Double, including meals. One-day Retreats start at $65, weekend retreats start at $180. 7 Centers Yoga in Arizona is a licensed school that provides training classes for yoga instructors as well as workshops in a gorgeous center with Spanish mission architecture. There is no on-site accommodation, however the center works with local hotels, lodges, and bed and breakfasts to offer lodging for all attendees regardless of budget. There are several options for yoga teacher trainings as well as yoga retreats and intensive weekends for those who are interested in learning more without becoming a yoga instructor. There are additional workshops, such as one on conflict resolution and others. You can either attend one of the specific programs or stay nearby and attend the daily yoga sessions, with at least three options each day spanning all yoga styles and levels. Other activities at 7 Centers Yoga Arts include private yoga classes, hiking with yoga, nature hiking, psychic sleep, meditation, yogic cleansings, mantra and chanting, Pranayama, spiritual counsel, and various Ayurvedic services such as constitutional assessment and Abhyanga oil massage. Retreats start at $800, plus accommodations which you have to arrange yourself. Mount Madonna Center is a destination for scenic retreats or conferences, located on mountain-top redwood forest as well as grassy overland spanning 355 acres of land in Northern California. Visitors have the choice of rooms in hotel-style buildings, some of which include shared bathrooms, but no TVs or phones to help disconnect from the external world. There are also cabins within a forest grove, with heat and electricity, and a separate shower house. During the summer months, you can use a Mount Madonna Center tent or bring your own. Personal retreats give visitors the option to attend the daily yoga classes, walk along the hiking trails, or relax in the hot tub. There are also 12-week residential service learning programs to help guests learn about living within intentional yoga communities. Guests can also select one of the other programs of varying durations, such as yoga teacher training, bodywork, and silent retreats. The Kaya Kalpa Wellness Center offers traditional massage, body therapies, and Ayurveda therapies. Vegetarian meals are included in the retreats. Four-night yoga retreats start at $479 for tent accommodations, from $587 for a Dormitory, from $671 for a Double. Southern Dharma Retreat Center in North Carolina operates as a non-profit educational facility for teacher-led retreats that allow attendees to connect with their spirituality via silence, contemplation, and meditation. The lodge has room for 25 people in various dormitories and there are also 3 private cabins and 4 tent platforms. There is a meditation hall within the lodge for quiet reflection. An average year sees between 25 and 30 retreats led by teachers and the schedule is announced every January. No retreat will have more than 30 attendees and retreats are open to all levels of practitioners and include periods of silence, quiet reflection, and meditation. There are also scholarships available for retreats to make it more affordable for those of all income levels. There are three vegan meals served daily, offering dairy and egg options as sides. There are always coffee, tea, and snacks available, but those with allergies may have to provide their own food. 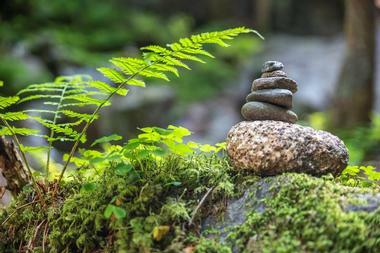 Three-night Zen retreats start at $240. 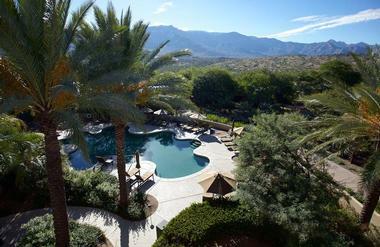 The Miraval Resort & Spa in Tucson is a luxury wellness spa resort that aims to help guests keep their life in balance. There are a total of 117 luxury spa accommodations in the casita style as well as suites, all of which are divided between 6 villages to offer a range of features and rooms. The rooms are inviting with natural colors, luxury accommodations, and there is the option to stay in one of the Miraval Villas, which are private homes. The Life in Balance Spa is one of the main attractions at this resort, where you will find life-enhancing treatments such as body renewals, Ayurveda treatments, Oriental and energy rituals, manicures and pedicures, hair care, massages, skin care, and specialty body work. Visitors can also participate in the Miraval Equine Experience, exercise physiology, fitness classes, meditation, Pilates, yoga, hiking, climbing, biking, tennis, and more. The Cactus Flower Restaurant has a wide range of meals, including vegan options, while the Palm Court offers smoothies, and Brave Bill Lounge serves cocktails. Rooms start at $499 per night. All-inclusive packages are also available. 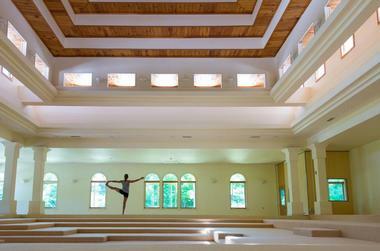 More meditation retreats: 22 Best Yoga & Wellness Retreats Around the World. The Raj centers on a facility covering 36,000 square feet and 100 acres of land among the woodlands and rolling meadows in Iowa. Here guests can attend treatment programs that help them restore balance so the body can return to homeostasis and tap into its natural healing mechanisms. There is the option of staying in a room with a queen bed, a king bed, or two queen beds. The unique Taste of the Raj program lets you customize your activities during your stay, including wellness consultations, lifestyle and dietary recommendations, and various treatment options. These treatments can include ten-step facial therapy, anti-stress massages, Abhyanga-Shirodhara, Shirodhara, and/or Abhyanga. Guests can also attend the Transcendental Meditation program to learn meditation and improve healing. Each room comes with a continental breakfast and the Raj Restaurant offers a range of vegetarian meals for lunch and dinner. The restaurant includes the option of traditional family-style meals or private dining as well as a Sunday buffet. Single occupancy rates start at $108, Double from $123. In-Residence Panchakarma Packages are $660 per day and include 2-3 hours of Ayurvedic Spa Treatments, Yoga classes, Evening Lectures, all meals and more. The Yoga Lodge in Washington State is a combination of a bed and breakfast, inn, and Ayurveda and yoga learning center located on ten acres of secluded land to reduce distractions and provide a peaceful environment perfect for writing, healing, reflecting on life, connecting with nature, and practicing or learning Ayurveda, yoga, and meditation. The Lodge offers private rooms to guests with the option of either shared or private baths. 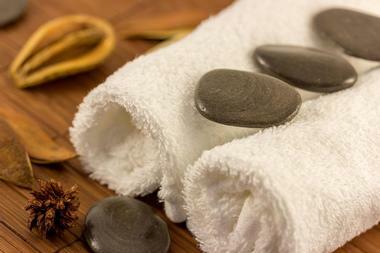 Rooms come with handcrafted, artisan body care products and organic towels and sheets. Some rooms also have private decks. During the week, there are yoga classes in small groups or you can schedule a private one on weekends. Take advantage of the sauna, orchards, gardens, or nature trails which connect to a local community trail. There are retreats and workshops taking place most weeks which guests can join by contacting the retreat leader. Every guest receives a daily vegan or vegetarian organic breakfast basket. Friday-Sunday retreats start at $485, including accommodations. Lake Shrine Temple is a Self-Realization Fellowship open for visitors looking to explore their spirituality and connect with their inner selves in a serene, beautiful location along 10 acres. 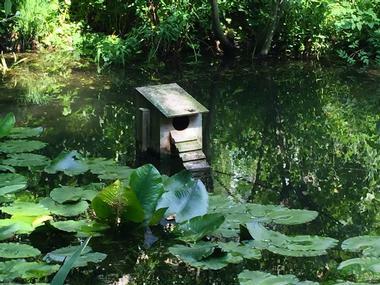 The site has a natural spring-fed lake and gardens with swans, ducks, flowers, trees, and koi. Exploring the grounds shows visitors the Court of Religions which honors the main religions worldwide, the Mahatma Gandhi World Peace Memorial, and a museum featuring information on Paramahansa Yogananda. Various temple activities include Lecture Service with inspiration and meditation, Inspirational Service with a Prayer Circle, meditation and related classes, yoga retreats, and a study class, among others. Visitors can attend a Lake Shrine Retreat between Tuesday and Sunday. General Retreat programs have a loose structure with morning meditations, monastic counselors, and specific events. For more structure, there is the Conducted Weekend Retreat program which has a concentrated schedule of classes. Vegetarian meals are served in the communal dietary menu and the rooms are comfortable, yet simple. 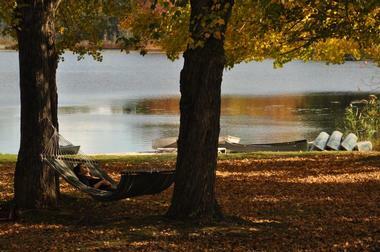 One- to five-night retreats are offered throughout the year, Tuesday to Sunday. Perched high up on the slopes of the scenic Blue Ridge Mountains in Boone, North Carolina, the Art of Living Retreat Center and Ayurvedic Spa was founded by renowned spiritual teacher Sri Ravi Shankar. Surrounded by spectacular natural beauty, and located in a magnificently designed building, the center features a skilled staff and is an ideal place to treat your body and mind. The Center offers courses in the Art of Living and a range of programs presented by organizations and spiritual leaders from all corners of the world. The Center is also open to people who are looking for solitude, space and interesting company. The programs include guided meditation and yoga, spa treatments, philosophy workshops, group ceremonies, nature walks and celebrations. 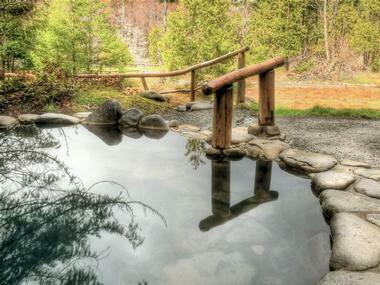 The Breitenbush Hot Springs Retreat is located in a remote forest location for the utmost tranquility and natural beauty. The year-round cabins are rustic and cozy, or you can camp during the summer months. There are separate bathrooms for campers and those in cabins without bathrooms. The site is surrounded by mountains, numerous hot springs, and a river fed by a glacier. The Historic Lodge is the main building on site and it is here where you will find the library, dining room, and spacious decks. Workshops commonly take place in the Cedar River Yurt and the Forest Shelter, while Buddha’s Playhouse and the Sanctuary offer options for quiet meditation and personal time. There is also a labyrinth to explore and a gift shop for inspirational books and hand-crafted presents. Guests can also enjoy massages, daily programs, a Sweat Lodge in the form of the monthly Inipi Ceremony, hiking, and more than 150 events annually. The buffet-style meals feature organic vegetarian dishes with the option for egg-, dairy-, and gluten-free meals upon request. Day use rates start at $16 (reservations are required). Children under 12 must be accompanied by an adult. Tents start at $60 per person, Lodge Rooms from $62 per person per night.